Where do you like to read? On a cushy armchair in your den? Propped up in bed on a mound of pillows? Or lounging on your favorite sofa? 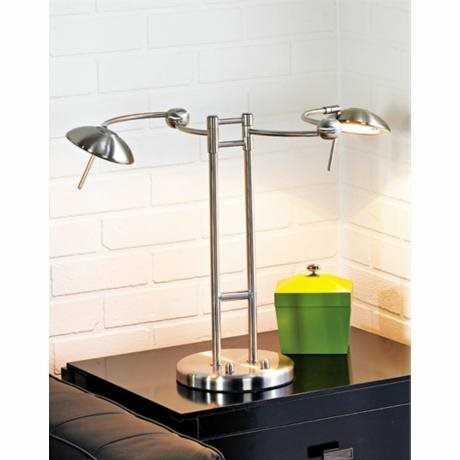 Wherever you like to curl up with a favorite book, all that reading can exhaust the eyes if you don’t have the perfect table lamp or desk lamp to provide task reading lighting. Check out our YouTube channel quick tips video (below), then read on for more tips and information about lighting, reading, and the aging eye. Reading, writing and other visually intensive work requires lots of light that is bright as well as focused. That’s why task lighting is specific to home work zones such as kitchen countertops, desks, craft tables and reading chairs – anywhere that someone who is doing a job needs sharp, non-shadowed light. 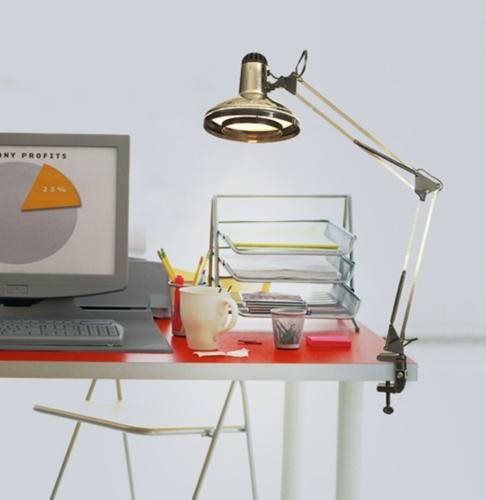 Task lighting such as reading light is not meant to illuminate the entire room – only a work or reading surface. Another factor to consider is that, as we get older, our eyes demand more light to read by. Studies have shown that people in their 60’s need 80% more light for reading than people in their 20’s. This increased need for light is due to the need to compensate for the reduced ability of the iris to open wide. So what is the perfect light for reading? No matter what your personal lamp style, experts say that halogen and fluorescent bulbs generally do a better job of illuminating reading material than normal incandescent bulbs. Halogen bulbs produce a whiter light that is perfect for reading and the sharp white light ensures good page illumination. A common complaint about fluorescent lighting is that it gives off a greenish blue light. Today’s fluorescent bulbs and tubes are available in a wide range of colors, plus they use up to 80% less energy and last 20 times longer. Experts also say that books and other printed material should sit between 14 and 18 inches away from your eyes. Books nearer or farther can tire the eyes. Readers who are right-handed should position the light hitting the text on their left hand side, and vice versa. This prevents page-turning hands from casting shadows across the reading material. Readers should also avoid sitting up with a book in their laps or reading sideways in bed without changing positions. In both cases, the neck is in a flexed position, which can lead to both neck and eye strain. For close-up reading lights, look to an LED book light design. Most of these feature a clip-on base, and their compact size makes them ideal for traveling. 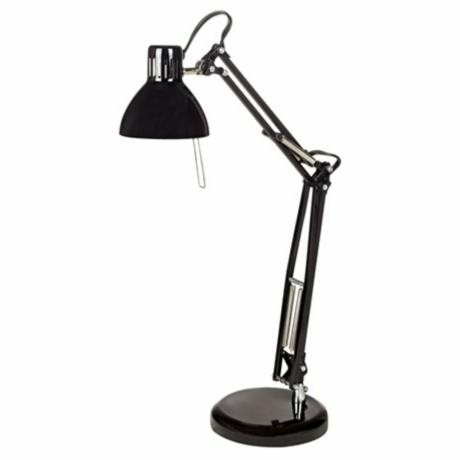 Need help choosing the perfect lamp for reading? Just contact us, we’ll be happy to assist you!